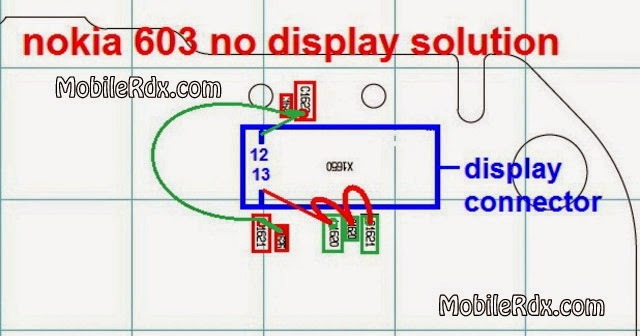 This post is for Nokia 603 Lcd Display Problem Solution. If your phone’s Display screen stops working solutions in the diagram below can help you. First Clean display connector in the similar way you did on-board connector. Here Are Hardware Solution Please Obseve Carefully.